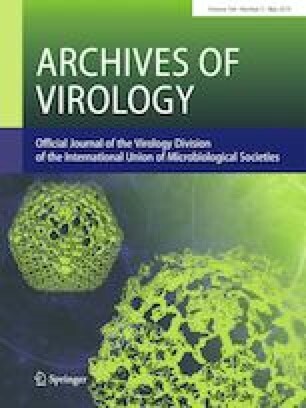 Equine herpesvirus 1 (EHV-1) induces serious respiratory infections, viral abortion, neurological signs, and neonatal mortality in horses. Despite the use of vaccines, EHV-1 infection also causes a high annual economic burden to the equine industry. The poor immunogenicity of and protection conferred by EHV-1 vaccines are the major factors responsible for the spread of EHV-1 infection. The present study examined the immunogenicity of a novel DNA vaccine co-expressing FliC, a flagellin protein, in Salmonella abortus equi and the gD protein of EHV-1. Mice and horses were immunized intramuscularly with the vaccine, and mice were challenged with EHV-1. Immunofluorescence and western blotting revealed that FliC and gD can be efficiently expressed in cells. This novel vaccine significantly increased gD-specific antibody and interferon gamma (IFN-γ) levels in immunized mice and horses. Compared with controls, the viral load and morbidity were markedly reduced in FliC-gD-immunized mice after they were challenged with EHV-1. Furthermore, the immunogenicity of FliC-gD in a natural host was tested. Our results indicate that vaccinated mice and horses exhibit increased humoral and improved cellular immune responses. Yanan Zhao and Jianxin Chang equal contributors. All procedures involving animals were approved by the Ethics Committee for Animal Experiments at the Xinjiang Agricultural University. All animal experiments were conducted in strict accordance with international, national, and institutional guidelines for the use and care of animals. All authors contributed to this work and agreed to its publication.